In the small town of Uhersky Brod on Tuesday, a gunman opened fire in a Czech restaurant shaking a community that almost never sees such violence. That's not to say, however, that they never see any guns. In fact, Uhersky Brod is home to one of the biggest firearms manufacturers in Central Europe, and many Czech Republic residents own their own guns because hunting is a popular pastime in the country. 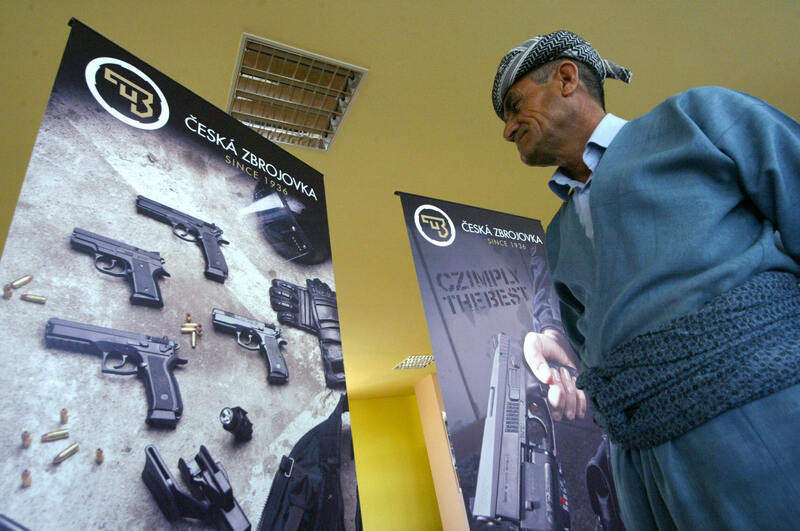 Although the Czech Republic's gun control laws are considered strict, the country's legislation is still considerably more lax than many other European countries. I assume this was an isolated incident. We have various anti-terrorist measures, but we can see that, here, probably a lone shooter struck with no warning. It's especially frustrating when tragedies like this occur senselessly, leaving a community with more questions than answers. But what answers can information about the gun culture of the country and Uhersky Brod itself provide? The Town Is Home To A Large Firearms Manufacturer. Uhersky Brod is home to Česká Zbrojovka (ČZUB), one of two major firearms factories in the country. Established in 1936, ČZUB has grown into one of the largest firearms manufacturers in the world. Since becoming a private company in 1992, when Czech weapons manufacturers became decentralized, ČZUB has been expanding and establishing outposts all over the world. Obtaining A Gun Isn't Too Difficult. Citizens need to be at least 18 years of age if obtaining a B- or C-category license, but sometimes applicants as young as 15 can obtain a license if they're part of a hunting club or if they're learning hunting in school. Licenses for categories A, D, E, and F require a citizen to be 21. Besides age requirements, applicants must also pass a theoretical (knowledge of firearms, ammunition, and legislation) and practical exam (safe handling of firearms), get health clearance, and meet criminal (certain ex-convicts can never obtain licenses) and personal qualifications (excessive drinking, drug use, and misdemeanors can affect obtaining a license). Overall, any physically fit adult with no criminal history can easily obtain a gun license. And citizens with D or E licenses are permitted to carry up to two concealed, ready-to-use weapons anywhere they go as long as it's not a gun-free zone, such as schools and court buildings. People In The Country Love Hunting. Another factor contributing to the Czech Republic's permissive gun culture is its people's love of hunting. Besides its unique architecture and old-world culture, the Czech Republic is also known for its lush natural habitats and abundant wildlife, which make the country a prime region for hunting. The country is home to game animals like red deer, sika deer, fallow deer, Russian boar, mouflon sheep, and pheasants. The sport is so popular that a major component of the country's tourism includes hunting packages and guided hunting trips.